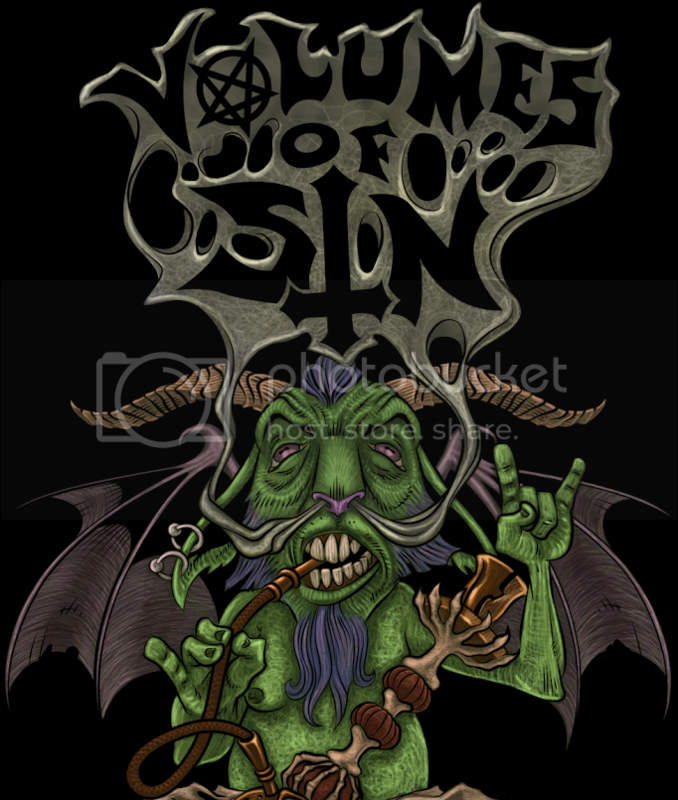 Sure, Volumes of Sin is late to the party on this franchise generating title; but it's better to be late than never to be at all, right? I know that no real review is needed for Batman: Arkham Asylum, it received Game of the Year (GOTY) in 2010 and every gaming site, blog and t.v. show blathered on about it for months on end. Although I picked the game up when it initially released, I never really had a chance to sit down and thoroughly enjoy the hell out of it. So the next few paragraphs are entirely based upon my experience with Arkham Asylum and getting to know my inner child all over again. Aside from my Sega Genesis, my favorite Christmas toy that I received as a child was my Batmobile, to which I eventually took every single one of my variously colored Batman figurines for an exciting thrill ride in. To this day, Batman is truly the only D.C. Universe series that I enjoy on a regular basis, whether it be comics, movies or games. The dark, grimy tone of Gotham has always had an interesting allure, which I'm sure is why Tim Burton had his hand in the bag for the first two movie releases. 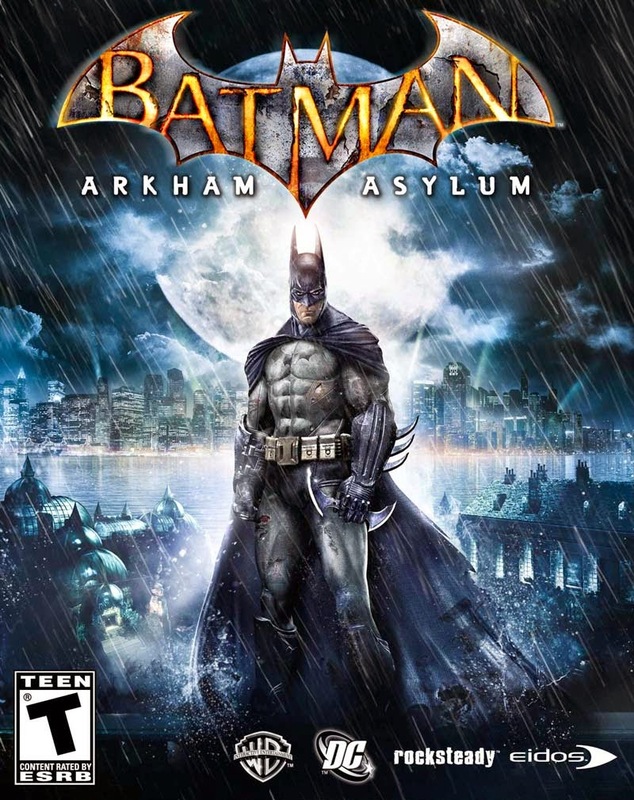 Although Arkham Asylum doesn't necessarily take place in Gotham, technically speaking Arkham is on the outskirts of the city, the overall atmosphere and tone of the game are morbidly sinister; the title could almost be classified under horror. 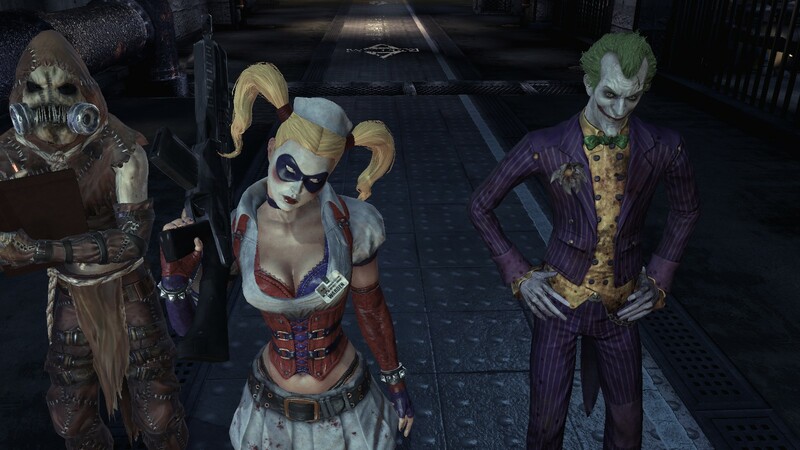 The team at Rocksteady really dug into the true aura of the Batman series and set the environment of the game to take place on a cold, desolate, stormy night; a chill of the spine is provoked every time the opening cutscene rolls, depicting the dead leaf laden road leading to the Asylum with the "Hitchhikers May Be Escaping Patients" notice. Batman is constantly having to venture out into the crude Fall weather to get from point A to point B, sometimes even having to dodge escaping lunatics on the way. The chosen villains for this installment consist of an all-star lineup that every Batman fan can appreciate; Scarecrow, Poison Ivy, Killer Croc, the Joker, Harley Quinn, Victor Zsasz and Bane all make appearances as characters that can be interacted with. There are several off-screen foes as well, many of which are uncovered through solving the Riddler's riddles and hidden collectibles that are worth finding simply to see who are included in the decently sized character database; although it's best to wait until the end of the game to even bother, as Batman will need all of his upgraded gadgets to retrieve these items. What's even better is that Batman, the Joker and Harley Quinn are all voiced by their original voice actors from Batman: The Animated Series; another great nostalgic throwback to those like myself who grew up with the cartoon in the early 90's. Ahead of it's time by a landslide, the graphics on Arkham Asylum are extravagantly amazing; Batman has never looked so good in a game before. When he glides across the rooftops or uses the Batclaw to grapple, his cape is free flowing and interacts with the wind. Progressively, his suit and cape become permanently ripped and shredded, as he himself looks a little more beaten up after each fight. The attention to character detail is so exquisitely fine that the Joker even has blood shot eyes. It's not all about the characters though, the environments are just as perfectly precise; making exploration all the more worthwhile and enjoyable. When first entering the Asylum, a feeling of creepy dread can overcome the gamer simply from the advanced use of ambient occlusion lighting effects. Not leaving it all up to the visuals, the immersive audio experience includes ever familiar Batman anthems, and even new eerie subtle soundscapes that bring a genuinely nightmarish mood. The real downfall of Arkham Asylum are the combat mechanics. It's incredibly hard to maintain a long lasting combo when taking on a mob of henchmen, which makes obtaining the medals on the Challenge levels frustratingly difficult. Since Batman gains experience points to level up his gadgets and armor through not only collecting items and solving Riddler puzzles, but through combat as well, this creates another pain point when it comes to attempting to maintain a combo. It's a very mild complaint in the grand scheme of the game, but one that does impact the experience and gameplay. Speaking of gadgets, all of the Batman essentials are here; the ever beloved Batarang with it's Sonic Batarang counterpart, line launcher, Batclaw, and much more are all available in the well equipped arsenal. Though as mentioned earlier, obtaining some of these pieces of equipment are left through natural game progression. 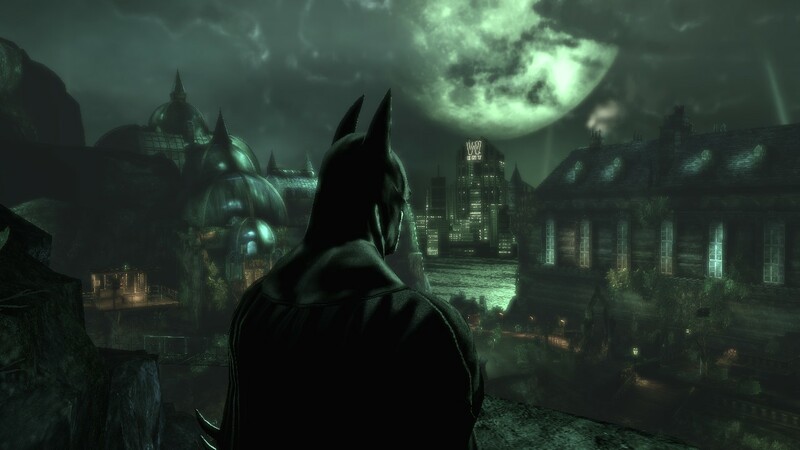 The most spectacular ode to Batman in gaming history, Arkham Asylum will appeal to all fans in at least some aspect. The rather large database of villains and friends, equally equipped with biographies and detailed information on each, expands the experience of the game astronomically. Gamers will find themselves immersed in the chilling atmosphere as they explore Arkham Island and the buildings that inhabit it, each with their own creepy atmosphere and brilliant subtle accompanying soundtrack. Exploration and replayability incentives lay within solving the Riddler's riddles and finding his collectibles, which are scattered among the various buildings and sections of Arkham Island. The fact that Batman, the Joker and Harley Quinn are all voiced by their original Batman: The Animated Series voice actors gives an entirely deeper respect and nostalgia that was never achieved in any prior Batman game. The story is compelling, full of twists and turns and impacting moments of suspense that will leave any player unable to put the controller down. The only fault that lies within the game itself are the combat controls, and the frustrating perfection that is required to hold a long combo. Other than that, this game is an absolutely must play if there ever was one.